Transocean Ltd. today issued a monthly fleet update summary which includes new contracts, significant changes to existing contracts and changes in estimated planned out-of-service time of 15 or more days since April 17, 2014. The total value of new contracts since the April 17, 2014 Fleet Status Report is approximately $953 million, Transocean said. •Dhirubhai Deepwater KG1 - Awarded a three year contract offshore Brazil at a dayrate of $440,000 ($482 million estimated backlog). The rig's prior dayrate was $510,000. •Paul B. Loyd, Jr. - Awarded a two year contract extension in the U.K. North Sea at a dayrate of $430,000 ($314 million estimated backlog). The rig's prior dayrate was $447,000. 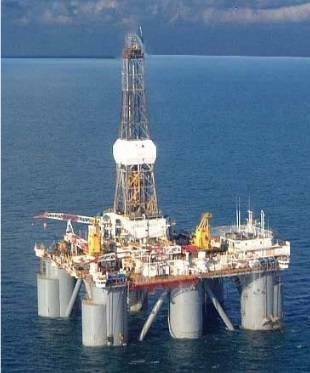 •GSF Development Driller II - Awarded a three-well contract in the Black Sea offshore Romania at a dayrate of $360,000 ($97 million estimated backlog). The rig's prior dayrate was $606,000. •GSF Constellation II - Customer exercised a one year option offshore Gabon at a dayrate of $165,000 ($60 million estimated backlog). The rig's prior dayrate was $165,000. •Sedco 706 - The remaining backlog from the Sedco 710 contract in Brazil has been transferred to the Sedco 706.